To continue to work within the games industry and maintain my growth into new roles. Developed this Xbox Live Indie Game, which is a prettier version of Pong with some added features and a rocking soundtrack. 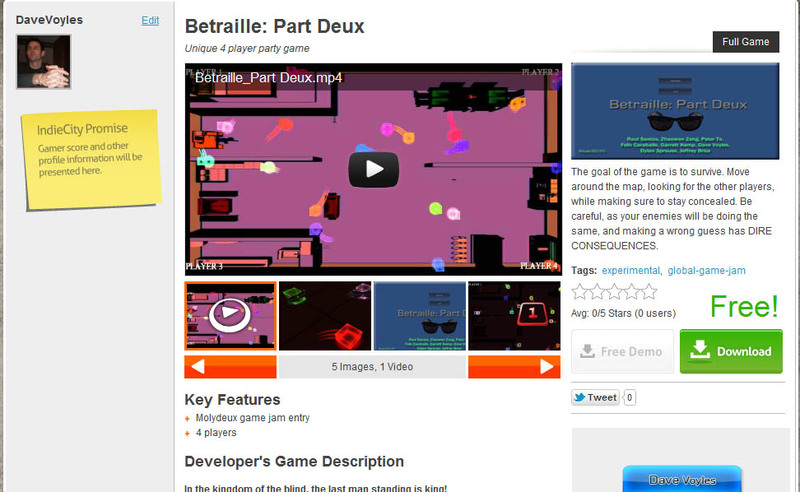 A playable build for the web browser is available here. This serves as the prototype for my own game, which will follow shortly after. Currently have a working prototype, in which I implemented 3D models, material, and textures using a variety of 3D/2D art packages. I’m proficient with all aspects of design, including programming, scripting, modeling, texturing and gameplay concepts. I’m a technical reviewer for Packt Publishing, where I am responsible for providing technical feedback on the content and ensuring that that all information regarding the tool kit is correct, keeping up to date with changes made to the engine, and providing additional examples and supporting details for tutorials and educational documents. Currently with a team of 20+ developers to create a racing title in the Twisted-Metal vein. My responsibilities include: Constructing 3D environment assets such as pylons, road signs, satellites, solar panels, etc, as well as programming the weapons and pickups. I am founder of the NYC-UDK Meet-Up Group. I host monthly meetings at my office, as well as Skype meetings on Friday evenings where we further develop the project and offer UDK and 3DS Max tutorials to those willing to learn. Part of the What Would Molydeux game jam, NYC chapter. We used Unity to create a 4-player party game where you are tasked with hiding your identity while trying to reveal that of your human opponents. 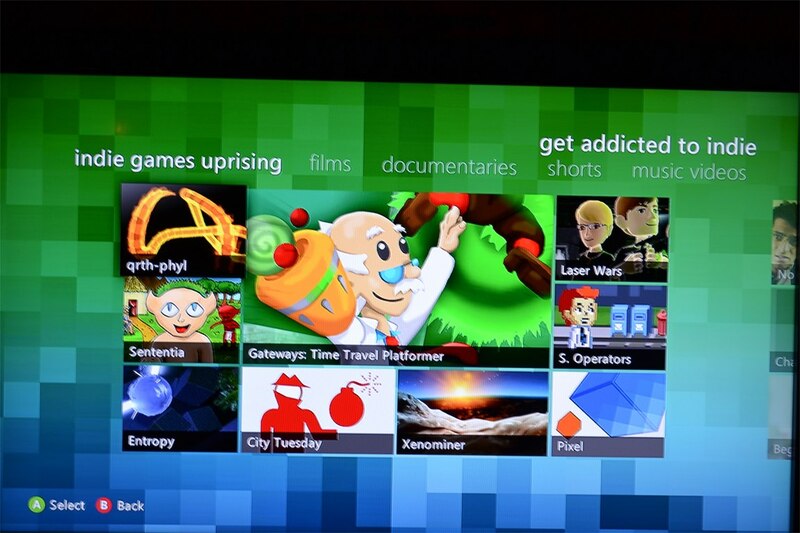 Casey Young of Eleventy-Aught Twelve Studios built the application using Silverlight with the sole goal of promoting XBLIG and allowing fans of the service to find and purchase games straight from their phone by scraping the data from the Xbox Live Marketplace website. It also allows for sites covering market to submit their top picks, as well as poll the development community for theirs. A port for iOS and Android is currently in the work. I wrote a 6 page feature for Game Developer Magazine which covered the ins-and-outs of how we successfully built a marketing campaign for Xbox LIVE’s Indie Games division. I highlight lessons learned, how the team was assembled, and how we coordinated with Microsoft. I would later take this template and use it as my 60 minute speech during 2012’s GDC conference. This is my first Dream.Build.Play entry, where I am taking the basic premise of pong, two paddles fighting for supremacy with only a ball, and adding a number of features. Random powerups such as: Regenerating Health, Adjustable Bat Sizes, Splitting Ball, and Turbo Paddles. You can follow along here. 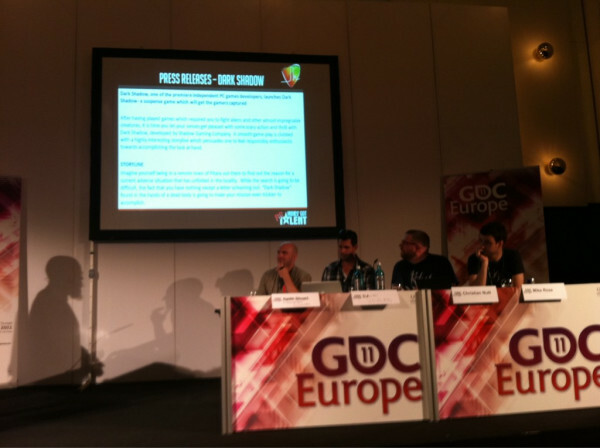 A panel of veteran indie games journalists share their opinions, advice and expertise critiquing the PR efforts of indie developers in the format of popular game show Britain’s Got Talent. Developed in 30 days, utilizing many of the sprites from Tyrian, as well as some of my own programmer art. I built upon Super Rawr Type and re-wrote that game in 2 days to start this project. Authored a book with 8 chapters covering advanced programming techniques for the UnrealEngine. I’ve covered everything from AI, pathfinding, and cameras, to weapons, HUD, and IDEs. A vehicular shooter similar to Twisted Metal, taking place in the near future within a post apocalyptic world. Currently planned for the PC, however an iOS port is in being considered at the moment as well. Responsible for creating 3D models of environmental assets, as well as web development. Take a look at the site which contains videos, screens, bios on team members, but please note that it is currently under construction. – Objects include: pylons, guard rails, satellites, fencing, transformers, street signs, solar panels. Get to know your XNA MVPs – Part 1: What is an MVP?